Why are kids picky? Is it possible to turn finicky eaters into adventurous eaters? You’ll be surprised, the answer is YES! Listen in to lots of veggie talk today, because I’m going to be talking about picky eating and I’m going to be sharing two recipes from ChopChop Magazine. One is for a delicious, Raw Brussels Sprout Salad and the other is for Carrot Salad made with mint, honey, lime juice and peanuts (only if you like them). Sally Sampson joins me on the show today. She is the founder of ChopChop Kids, which is the non-profit publisher of ChopChop, the fun cooking magazine for families. The magazine was named Publication of the Year by the James Beard Foundation in 2013. Sally has written twenty-three cookbooks, so she knows a thing or two about cooking! She’s a mom of two, and she’s the coauthor of, The Picky Eater Project, Six Weeks To Happier, Healthier Family Mealtimes. Whether you have picky eaters or not, I still think you’re going to love this episode, because we have so many ideas for making vegetables more appealing along with tips for including your kids in the cooking process. Listen in now to find out more! 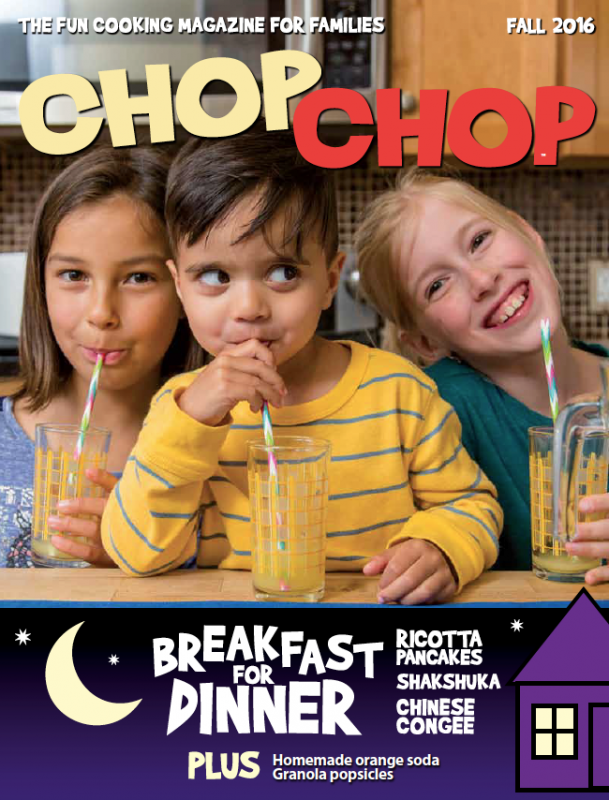 Inspire and teach kids and families to cook real food together with the award-winning ChopChop: The Fun Cooking Magazine for Families. Each ad-free issue is filled with beautiful photography, ethnically diverse, kid-tested recipes, kitchen how-to’s, fun food facts, engaging puzzles, and games to keep kids moving. ChopChop is a nonprofit quarterly magazine available in English and Spanish. More about ChopChop Magazine, which is distributed in Pediatrician’s offices all over the country. Her book, The Picky Eater Project and her inspiration for writing the book. Sally’s mealtime rules, which are neither mean-spirited nor rigid – they involve treating children with respect. What she’s noticed about kids at her photo shoots. The negative messages that parents sometimes give their kids without realizing it. Dealing with issues about texture. 90% of kids will eat food that they’ve cooked themselves. Making the dreaded green vegetable more appealing. Setting up taste tests for your kids as a fun game. The best way to cook broccoli florets. The ingredients that go into the Raw Brussels Sprout Salad and why kids love it. A lazy tip to make the Raw Brussels Sprout Salad easier. Getting your child to do a Recipe Review. Letting kids learn about what they like. 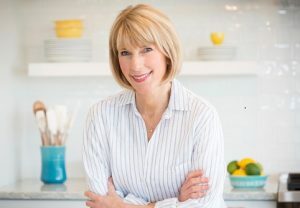 Sally’s Online Cooking Club for Kids. 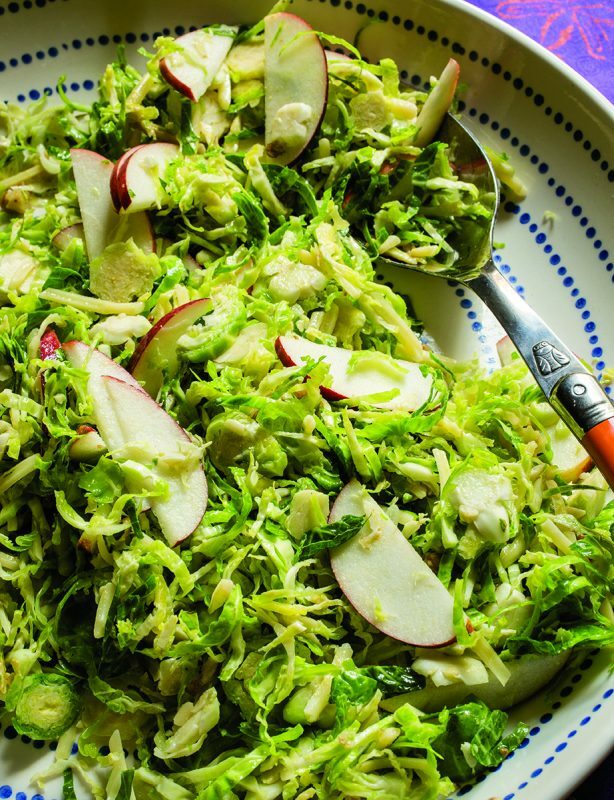 Raw Brussel Sprout – Republished with permission from ChopChop: The Fun Cooking Magazine for Families. Photography by Carl Tremblay. Styling by Catrine Kelty. I've made this recipe several times, and I agree with Sally that it's intoxicating. If your kids never tried Brussels sprouts before, it's time to give 'em a try. Your kids can help you make this recipe. Tune in to the show to find out how. Put everything in the bowl and toss well. Cover and refrigerate at least 1 hour and up to overnight. Giveaway: One-year subscription to ChopChop Magazine: Head on over to my blog, and get the recipe for Carrot Salad made with mint, honey, and lime while you’re on the blog. To be part of the Podcast Posse on Facebook, click here. 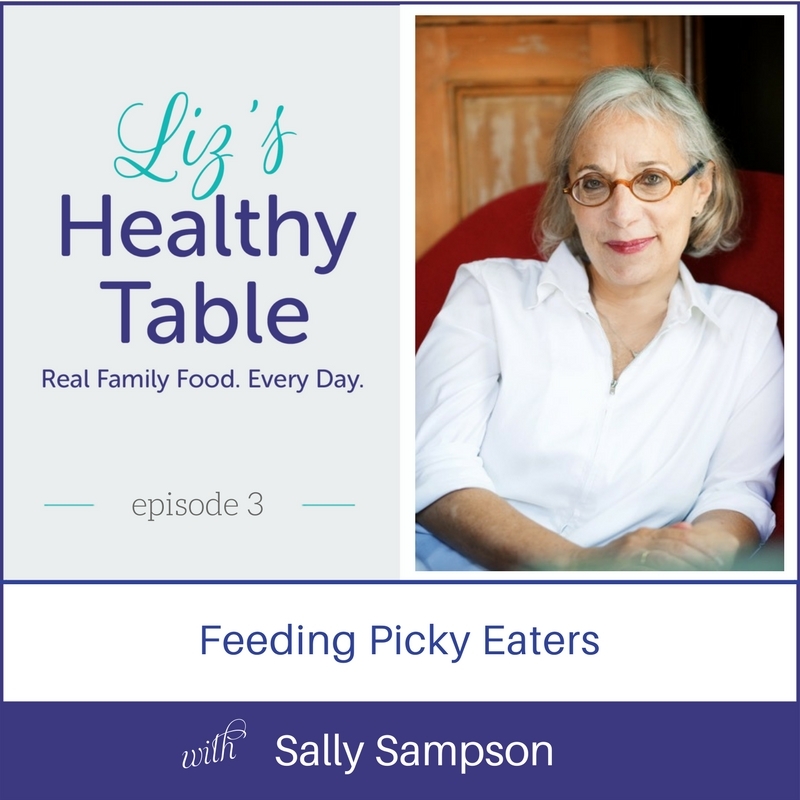 I love the picky eater podcast!! Such great ideas. My only issue is that my picky eater is now 16. (I know!!) All of the cookbooks, podcasts, etc, are directed at younger kids. I’d love to see you tackle picky eaters who now understand that they need to eat healthier, but have taught their bodies that healthy foods are completely unappealing.